For a limited time, chicken nugget lovers can enjoy a 10-piece order for just $1.49 at participating locations. If you like your savings on the spicy side, you can now also choose spicy nuggets for a limited time. Each order includes your choice of two dipping sauces, including barbecue, honey mustard, ranch, buffalo and sweet & sour. For just $7.45 (plus tax), get 50 nuggets and have a frugal feast with friends or family. That’s lots of dippin’! 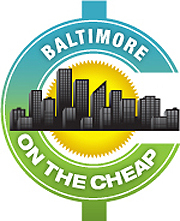 Find your closest Baltimore location here. The post Burger King: 10 chicken nuggets for $1.49 appeared first on Living On The Cheap.